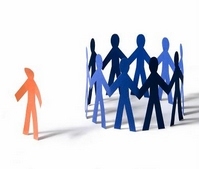 Discrimination Law | Law Offices of Martin & Hipple, P.L.L.C. Law Offices of Martin & Hipple, P.L.L.C. Our Concord, New Hampshire firm's attorneys handle cases in areas such as criminal defense, family law, divorce, DUI, bankruptcy, personal injury/car accident cases, and many others. No one should ever have to endure discrimination. Unfortunately, some employers, landlords, and businesses discriminate against individuals because of race, ethnicity, religion, sexual orientation, disability, and other characteristics. Fortunately, when such discriminatory actions occur, the injured party may have a right to recover under New Hampshire and Federal law for any injuries suffered. The Law Offices of Martin & Hipple will advocate for your rights at work (discriminatory termination, harassment, other disparate treatment), in the housing context (failure to rent, sell or provide some other benefit based upon class membership), and in the public accommodation context (failure to provide a good or service or to provide some other benefit available to others based upon class membership). Although not every action is discriminatory under the law and not every class is legally protected, our attorneys will help you determine whether you are protected, whether your rights have been violated, and whether you have a right to recover for damages suffered. No interactions or information provided on this website create an attorney-client relationship. The only way to do that is to sign a retainer agreement with us. Also, we are not licensed to practice in every state so information we provide here may not be applicable in your state. Our attorneys are currently actively licensed in New Hampshire alone. Of course, every case is different so we do not and cannot promise a particular outcome in any particular case. We are required to inform you that this website contains legal advertising. Lastly, it is the nature of the internet that any information you provide may not be 100% secure and may be viewable by third parties; it is best to provide all information via in-person meetings with our attorneys.